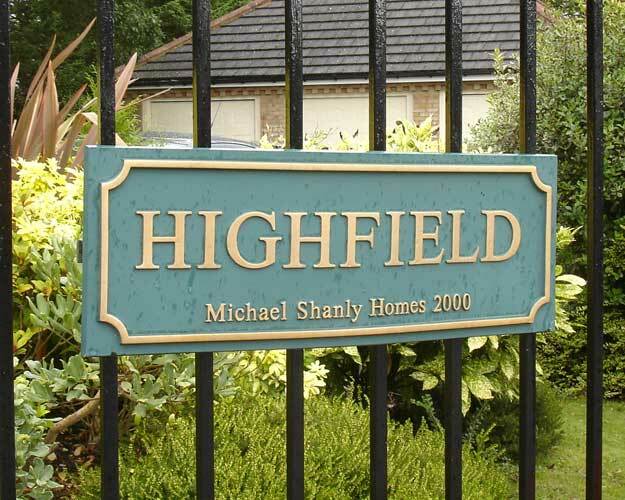 Show house signs and estate entrance signs add that finishing touch to any new housing estate. A distinguishing feature that makes a home. 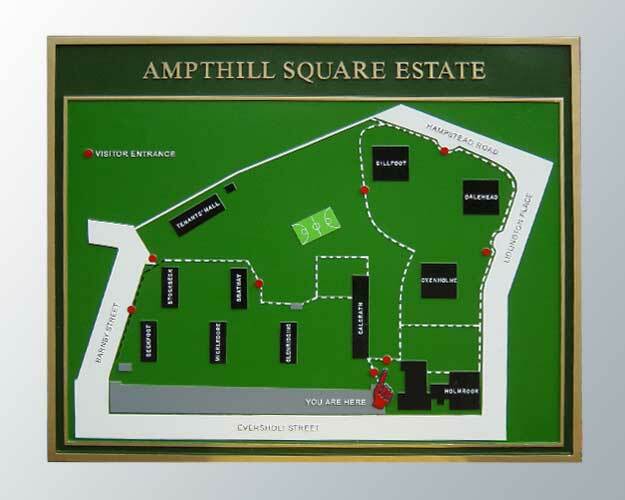 Add some organisation to your site with branded wayfinding signs and carpark signs and personalised door numbers. 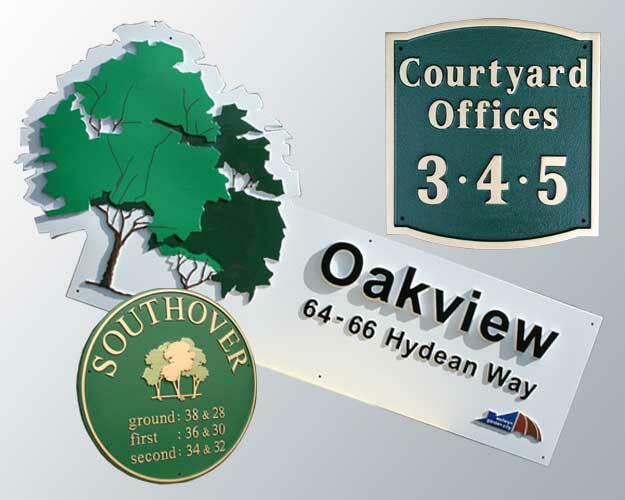 Estate and show house signs are typically cast in polyurethane with all detail in relief. 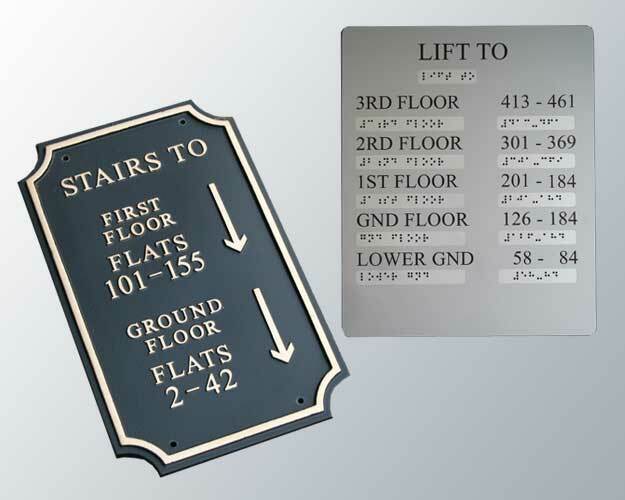 More increasingly brushed stainless steel is used especially for flats and apartments, directional flat signs, internal or external. Perspex signs with detail on the reverse are a modern alternative. 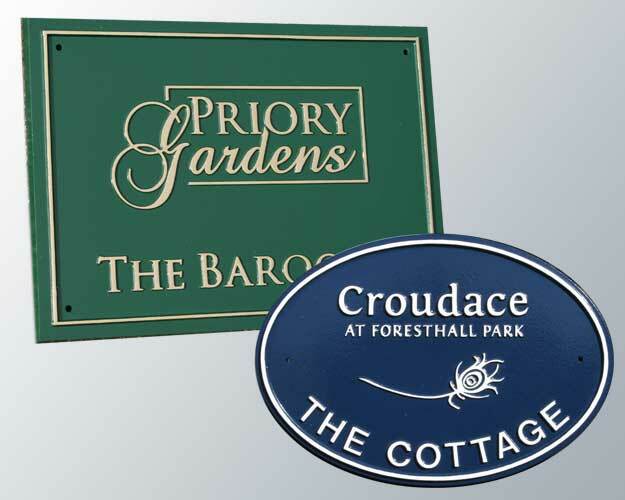 Our signs can be designed to include your coprorate image and to co-ordinate with new project sales literature, adding a topical motif, matching colours and shapes. Braille can be added to meet the requirements of public buildings. Letters, borders, logos, motifs and complicated coats of arms are all realized in relief. Background colours are spray finished and the relief detail is all hand painted by our talented artists. Clients are encouraged to send us any artwork, size and shape details etc at an early stage so that we can assist in the design. 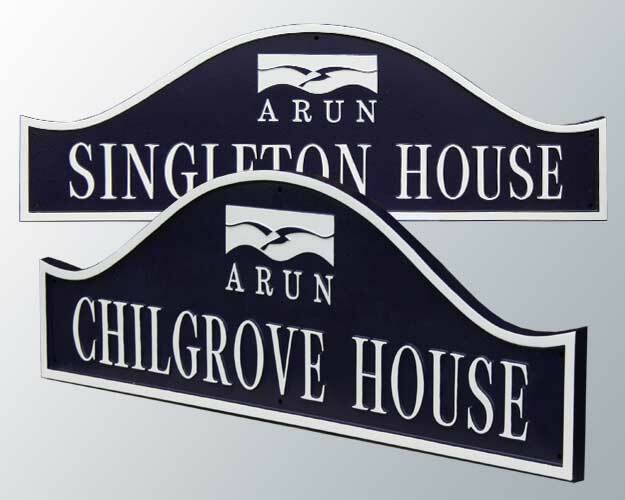 Signs can be single or double sided curved and to fix convex or concave walls. They can be drilled for wall fixing, or we can supply posts complete with fixings.